Emergencies can happen suddenly. We’ve been seeing an economic catastrophe heading our way for years and have been given lots of time to at least begin to prepare for it. With other disasters, like hurricanes, you only have a couple of days advanced warning. Certainly enough time to bug out if you choose to do so and get to a place of safety. But there are some calamites, such as blackouts and earthquakes or getting laid off from your job, that can hit you with no notice. You can’t always count on having the luxury of forewarning. You can’t start prepping when you’re up to your neck in alligators. Whatever you have prepped when one of these sudden emergencies hits is all that you’re going to have. This movie drove that point home for me. I’m doing OK in some prepping categories, but hugely deficient in other key areas. I need to apply myself to filling in some of those gaps, because something might happen with no warning. Like I said, things can get very bad, very quickly. Be prepared. The likelihood of collateral accidents rises sharply, with much greater impact. American Blackout showed a lot of traffic accidents due to all the traffic signals being out of service as a result of the power outage. Losing your means of transportation during an emergency takes a lot of options off the table for you and puts you in a position of being more dependent on others at a very bad time. The movie illustrated the heightened danger of house fires because people were lighting their homes with candles. Having your house catch on fire can wipe out all of your preps and make your homeless and penniless in an instant. The movie showed one guy who only had an electric can opener, now completely useless with the power being out. He was trying to puncture the top of a can of food with a butcher knife and (predictably) cut a gash in his hand. It’s bad enough to get in a car wreck or have a house fire when you can count on your insurance company to jump in and make you whole again, but if you take them out of the equation, you’re screwed. Having a significant personal injury can be terrible even when you can get quick medical assistance, but if every hospital is overwhelmed with major trauma cases, you’re on your own. Accidents happen during the best of times. If they happen during the worst of times, even a relatively minor event might have disproportionate consequences. How are you equipped to deal with such things? 911 won’t respond to your call for help. In a full-blown emergency, your house fire or medical emergency or home invasion won’t get the kind of attention from the authorities that you normally would. They will already be deluged with addressing public safety issues. It won’t take the bad guys long to figure out that the cops can’t roll for every victim who needs help. You’re going to have to fend for yourself in every way. How well are you prepared to deal with your own medical, fire, and security vulnerabilities? Did I “enjoy” American Blackout? No. There was nothing enjoyable about it. But I hope I learned something from it. If you missed it this past Sunday, you still have a couple more opportunities to watch or record it. 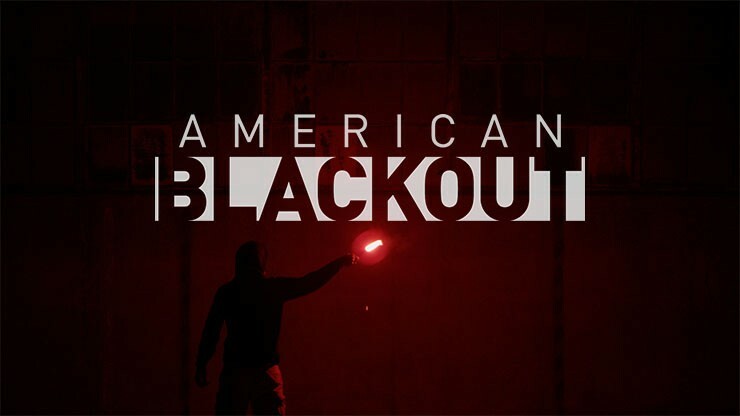 National Geographic Channel is going to rebroadcast American Blackout this coming Sunday, Nov.3 at 10am, and again on Tuesday, Nov. 5 at 3pm. Take notes. There may be a quiz when you least expect it.